Tempe-based band The Maine plays the sort of hook-laden guitar rock it's hard not to like, and in videos like the one for their song "Am I Pretty," they raise the poignancy stakes by opening with regular people talking about their insecurities, how they've been treated and judged by others, and how that's made them feel. STAYING ALIVE Pop punk, emo, and alt-rockers The Maine headline a three-band show at the Fremont Theater on April 3. Then lead singer John O'Callaghan launches into the lyrics: "You think I'm ugly/ (Don't you? )/ And I know you hate my body/ If you don't like just what I do/ Do what you like/ So maybe then you'll want me/ Maybe then you'll want me// Am I pretty? Do people like me yet?/ Is there a party?/ Am I invited?/ It's such a pity/ No one adores me yet/ So make up in a shade that fits me/ Tell me love oh 'Am I pretty?'" The lyrics reflect a cloying insecurity that certainly isn't pretty but all too human, and later the song hits you with this: "There's beauty and grace in the flaws of your face/ All candor and style in the crook of your smile." The song seems to both condemn superficiality and want to heal the wounds that drive it, and that helps The Maine rise above so many other bands with a similar sound that swims around the alt-rock, emo, pop-punk end of the pool. 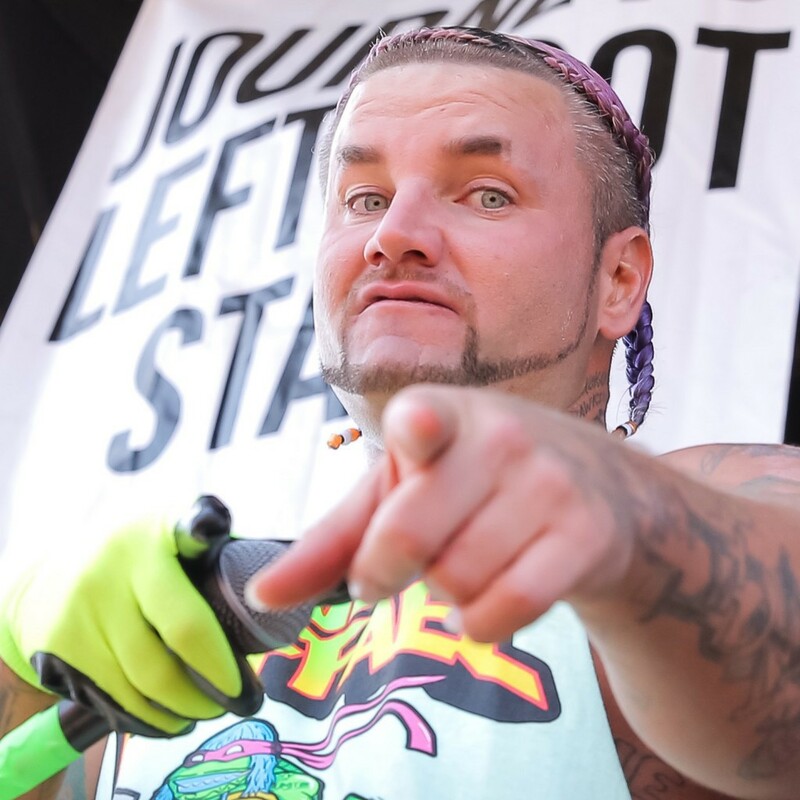 HE'S RAPPIN' AT YOU Riff Raff (pictured) will bring his braggadocios rap to Fremont Theater on April 1, along with DJ Afterthought, John Sisco, Podeezy & DollaBillaGates, and 2 Stoned. 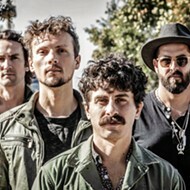 Their most recent album, Lovely Little Lonely (2017; their sixth studio recording), features a coherent, catchy batch of songs, and the album opener, "Don't Come Down" sets the tone for the rest of the record: "Here's to now/ And to nothing else/ In a crowd/ All by yourself// To the lows and every high/ The hellos and the goodbyes/ In this moment, I could die with you/ Never felt like this feel before/ Dizzy, drunk, and beautiful/ In this moment, I let go with you// When you are next to me and the music's loud/ Singing 'Hey Nineteen' somewhere in the crowd/ We're up so high/ They can't touch us now/ We are thousands of feet from the ground/ And we won't come down/ We won't come down." The feel-good, live-in-the-moment party song could be every partier's youthful soundtrack, celebrating that throw-your-hands-in-the-air and dance with abandon moment when everything drops away and you're free. 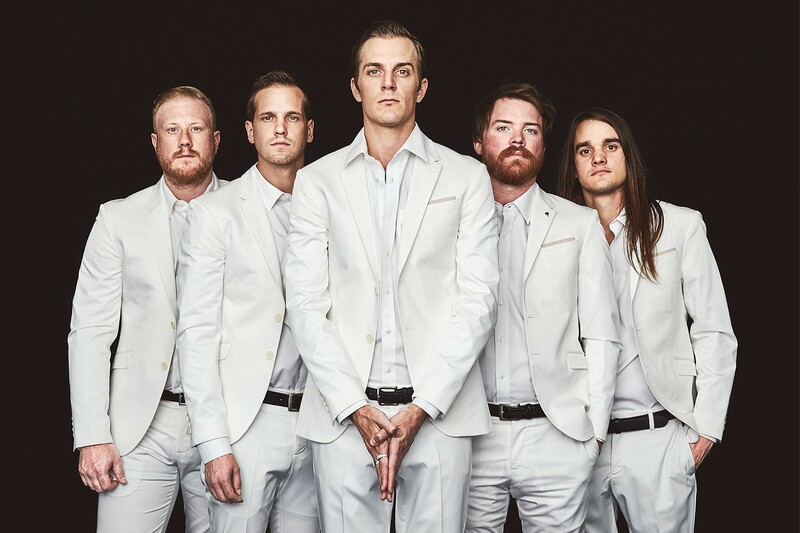 Hear the poetic pop of The Maine when they play the Fremont Theater on Tuesday, April 3 (7:30 p.m.; $25 at Boo Boo's and eventbrite.com), with LA's Vista Kicks, touring in support of their new album Booty Shakers Ball, and Phoenix-based rockers The Technicolors opening. By the way, if you wanted to see George Clinton and Parliament Funkadelic at the Fremont on Friday, March 30, and you don't have tickets, you're too late. It sold out. I did warn you! There are still tickets for The Neon Black Tour 2018 featuring garish rapper Riff Raff at the Fremont on Sunday, April 1 (No foolin'!) (9 p.m.; $20 to $52 VIP at Boo Boo's and eventbrite.com). The show also features DJ Afterthought, John Sisco, Podeezy & DollaBillaGates, and 2 Stoned. BEYOND BLUEGRASS The Lil Smokies will bring their jaw-dropping musicianship, harmony vocals, and catchy originals to The Siren on March 31. Numbskull and Good Medicine Presents have four nights of fun lined up at Morro Bay's The Siren this week, starting with punk acts The Dickies and The Queers on Thursday, March 29 (7 p.m.; 21-and-older; $18 presale at ticketfly.com and Boo Boo's, or $20 at the door). Bluegrass act The Lil Smokies play The Siren on Saturday, March 31 (8 p.m.; 21-and-older; $15 presale at Boo Boo's and ticketfly.com, or $17 at the door). 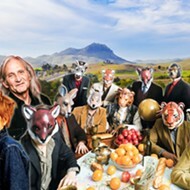 These guys are an awesome string band with jaw-dropping musicianship, harmony vocals, and super catchy original songs. The award-winning Missoula-based Smokies have been at it for six years and keep getting better and better, scoring opening spots for the likes of Steve Martin and the Steep Canyon Rangers, The Nitty Gritty Dirt Band, Keller Williams, Greensky Bluegrass, The Emmit-Nershi Band, Yonder Mountain String Band, The Travellin' McCourys, Sam Bush Band, Fruition, Infamous Stringdusters, Bradford Lee Folk and The Bluegrass Playboys, and many more. Two duos, Mapache and Bear Market Riot, will open the show. 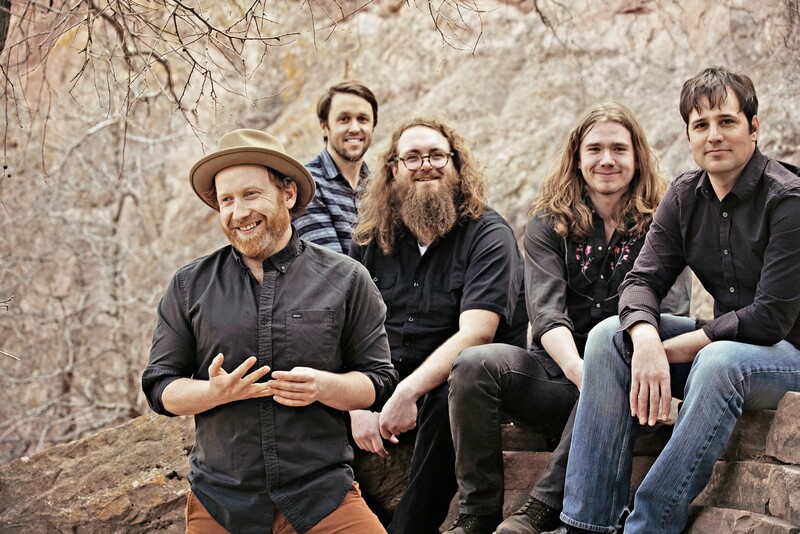 SOUTHERN GENTS Whiskey Myers hits The Siren on April 4, playing Southern rock, red dirt, and country music. Funk act The Main Squeeze plays The Siren on Tuesday, April 3 (7 p.m.; 21-and-older; $15 presale at Boo Boo's and ticketfly.com, or $20 at the door). Corey Frye's soulful vocals lead this Chicago-based act, which will light up the dance floor, no doubt! Fronted by Cody Cannon, Whiskey Myers is a really engaging Southern rock, red dirt, and country act out of Palestine, Texas. You can hear shades of Waylon Jennings, Lynyrd Skynyrd, and Hank Williams Jr. in their sound, as well as a little John Moreland. Their newest, Mud, opens with the fiddle-led "On the River," a look at a pending foreclosure in an earlier time: "Ain't no man gonna take it away/ Because it's deep down in my blood/ So step across the ol' property line/ And you'll die right here in the mud." These are visceral and emotionally potent tunes. 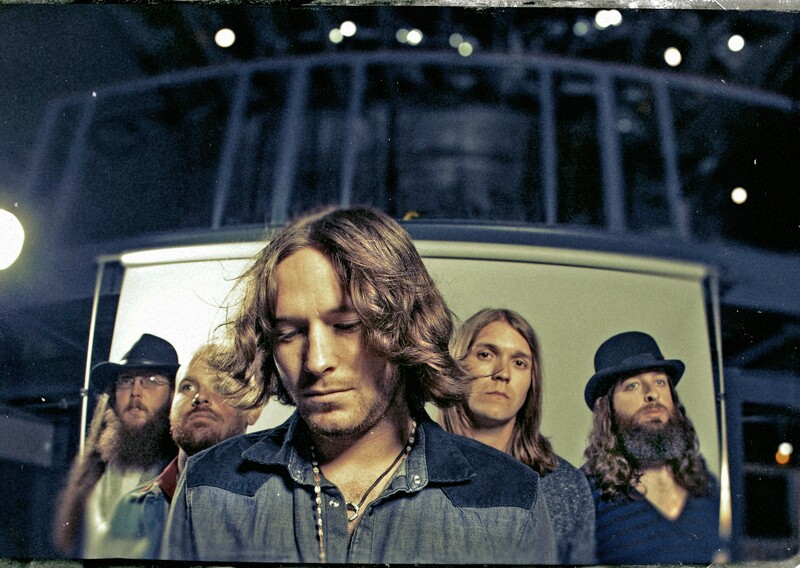 Hear for yourself when Whiskey Myers plays The Siren on Wednesday, April 4 (7 p.m.; 21-and-older; $15 presale at Boo Boo's and ticketfly.com, or $20 at the door). 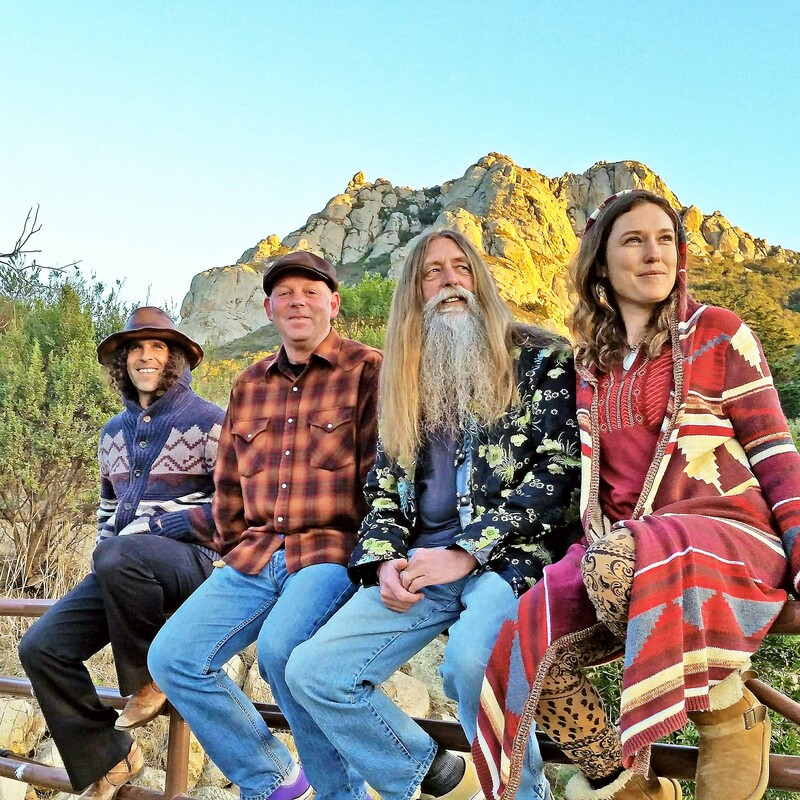 The groovy Zen Mountain Poets have made some personnel changes recently and are ready to test their new lineup with some upcoming shows, starting with Luna Red on Saturday, March 31 (10 a.m. to midnight; 21-and-older); followed by a family friendly concert at The Educated Gardener on Saturday, April 7 (6 p.m.; all ages), with LA-based singer-songwriter and violinist Chris Murphy opening, and Joselyn Sky as special guest. GET GROOVY Zen Mountain Poets have some upcoming shows with new bassist Chad Hoffman, on March 31 at Luna Red; and April 7 at The Educated Gardner, among others. "We've been going through some transformations and we're about to unveil a new chapter in our journey together," Robyn Saxer (vocals/keyboard/ukulele/French horn) said. "Zen Mountain Poets are now Billy Clayton (vocals/guitar), Anthony Roselli (drums), and Chad Hoffman (bass)." 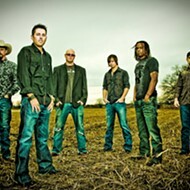 New member Hoffman played in the local country act Red Eye Junction, among other bands. "The last time you heard from us in November 2017, we headed East on The Dragon's Red Dirt Tour, playing shows in Flagstaff (AZ), Gallup (NM), Amarillo and Houston (TX), Norman (OK), New Orleans (LA), and back home in Morro Bay (CA)," Saxer added. "The inspiration for the tour was to visit Billy's daughter in Florida for Thanksgiving, where we played a heartwarming house show! We were thankful to have beautiful weather and driving conditions, and learned a lot about being on the road after traveling over 5,000 miles!" They've been in the studio recording an EP, so expect some new material. If you miss the aforementioned two shows, they'll return to Luna Red on April 27, to Bang the Drum Brewery on May 25, and to Barrelhouse Brewing on June 23. 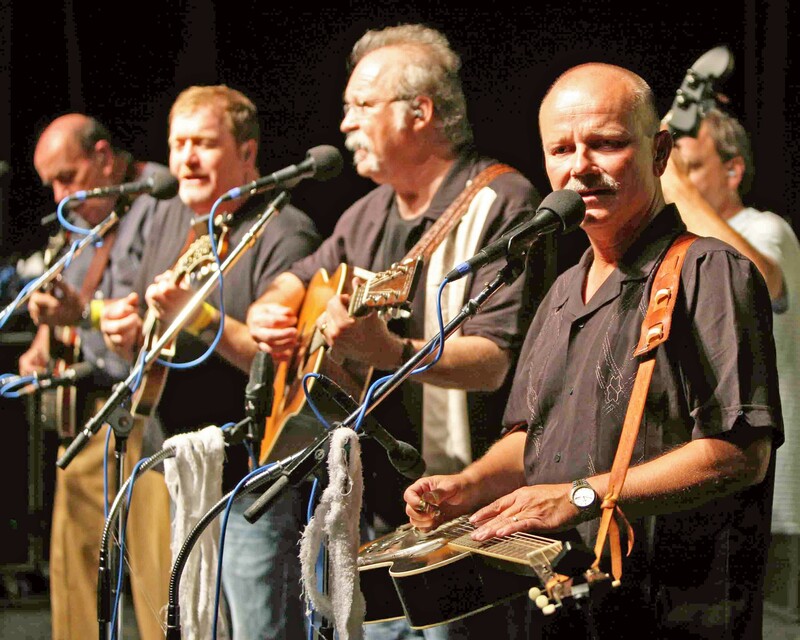 'LAY DOWN SALLY' BLUEGRASS STYLE Bluegrass icons The Seldom Scene play The Clark Center on March 31, bringing traditional compositions, originals, and bluegrass covers of hit pop and rock classics. Fantastic Celtic multi-instrumentalist duo Four Shillings Short presents its Celebration of Ireland: Music, Poetry and Stories from the Emerald Isle at Coalesce Bookstore on Friday, March 30 (7 p.m.; all ages; $15 at (805) 772-2880). Husband and wife duo team Aodh Og O'Tuama and Christy Martin will play hammered and mountain dulcimer, mandolin, mandola, bouzouki, tin whistles, recorders, medieval and renaissance woodwinds, north Indian sitar, Native American flutes, Andean charango, medieval bowed psaltery, banjo, guitar, bodhran, doumbek, percussion, and even a krumhorn. They sing too! 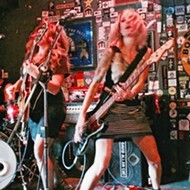 THEY'RE BACK After a lot of touring, B & The Hive returns home with a show at SLO Brew on March 31. Long-running bluegrass icons The Seldom Scene play The Clark Center this Saturday, March 31 (8 p.m.; all ages; $37 to $45 at (805) 489-9444). Founded in 1971, these talented players perform traditional bluegrass classics, original bluegrass songs, and they transform popular hits such as Eric Clapton's "Lay Down Sally," J.J. Cale's "After Midnight," and The Beatles' "What Goes On" into their bluegrass style. The Grammy-nominated act has 20-plus albums to their credit, and they're a hoot to see live. B & The Hive sounds like they're having a lot of fun on their new EP Pure Imagination, which opens with a girly-pop version of Bob Dylan's "It Ain't Me," filled with jangled drums, imaginative guitar work, and Brianna Lee's lovely voice. 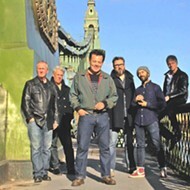 The EP goes on to cover everyone from The Beatles to Bob Marley and more. 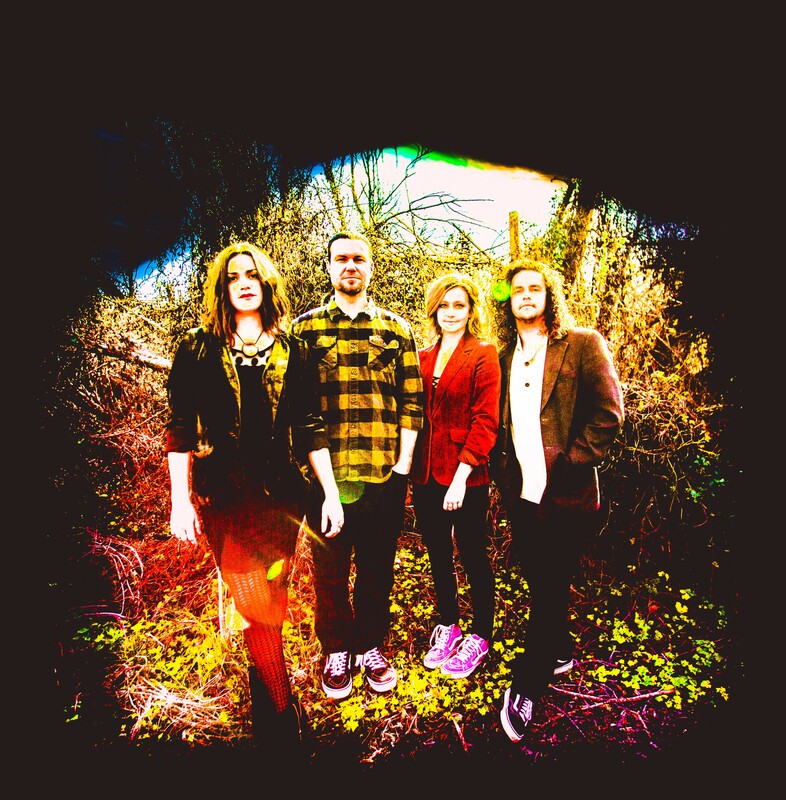 B & The Hive plays SLO Brew on Saturday, March 31, opening for SoCal rock act His Eyes Have Fangs, which features pro skater and bass player Tony Alva (10 p.m.; all ages; $10 at ticketweb.com). Should be fun! Keep it local with my805tix.com! Bands, promoters, and venue operators, prepare yourself; I'm about to become a New Times shill. New Times has launched a new ticketing service, so instead of brownpapertickets.com, eventbrite.com, ticketweb.com, or ticketfly.com, if you need to ticket an event, check out my805tix.com. The service offers a chance to stay local and team with a company that reaches hundreds of thousands of potential ticket buyers through publications, social media, and an online calendar. Ad deals are also available. "By partnering with us and using the My805Tix platform, you're pretty much guaranteed more exposure and higher ticket sales with a media company behind you to promote your events," New Times Marketing and Events Coordinator Rachelle Ramirez said. "There's no charge to join, just the 1.9 percent credit card processing fee, and our ticket fees are the lowest on the market. Plus the ticket fees stay local! We've been paying ridiculous amounts in ticket fees to the national companies for too long." For more info or a free demo, reach out to info@my805tix.com.